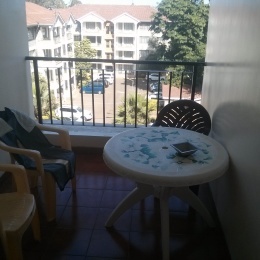 The apartment is close to three big malls, Yaya Center, Presitge and the Green House. It is a three bedroom apartment with two ensuite bedrooms and one normal bedroom. The master bedroom has a balcony, the seating room too has a balcony. The house is fully furnished with full kitchen, bed sheets in the bedroom, WiFi and a beautiful roof to relax. Lifts to the rooms and safe parking area.